100% virgin human hair, can be dyed and bleached, with good care of last at least 2-3 years. If the product you receive is not as described or low quality, the seller promises that you may return it or exchange it within 7 business days after receiving the goods. Just make sure your product is unused and in the original packaging And that's it!. When the warehouse confirms they have received the correct product, you'll get your money back. Details of the return adress and contact should be agreed with the seller in advance. On-time Delivery If you do not receive your purchase within 10 business days, you can ask for a full refund before order completion (when you click ‘Confirm Order Received’ or exceed confirmation timeframe). Domestic Returns Got it & not loving it? Mail it back domestically (to a warehouse in your country) within 15 days to get a refund, minus shipping costs. As this is 100% human virgin hair, the hair is still with full cuticles aligned in the same direction. After we make the straight hair into different curl patterns, the cuticles on each strand of hair is no longer lie beside each other, it might be going up and forward, that’s why sometimes you will feel it’s not very easy to run your fingers through the hair, and this is simply because it has a hair style and the cuticles are stopping your fingers because from what they might react your fingers are some kind of invader. Hair can get tangled because it’s too dry and gathering too much of dust and other stuff, at this time remember not to wash it with shampoo because that’s gonna make it even worse. Wash it with clear warm water and deep condition it for a while, it will get better and better! After the factory workers sew the hair pieces in to a bundle, there might be some short pieces that are not attached to the weft, so when you first comb it or wash it, it will go out. That’s not shedding, comb them out and it will be fine. The wefts are double drawn machine weft to prevent possible shedding, if you have to cut the weft to adjust the hair volume for your install, pls make sure to seal the edges of the wefts so it won’t shed. And never wash or comb the hair with too much strength, it is virgin hair, it needs more of your love to take care of it, or it will break off. 3.Can be curled or dyed? 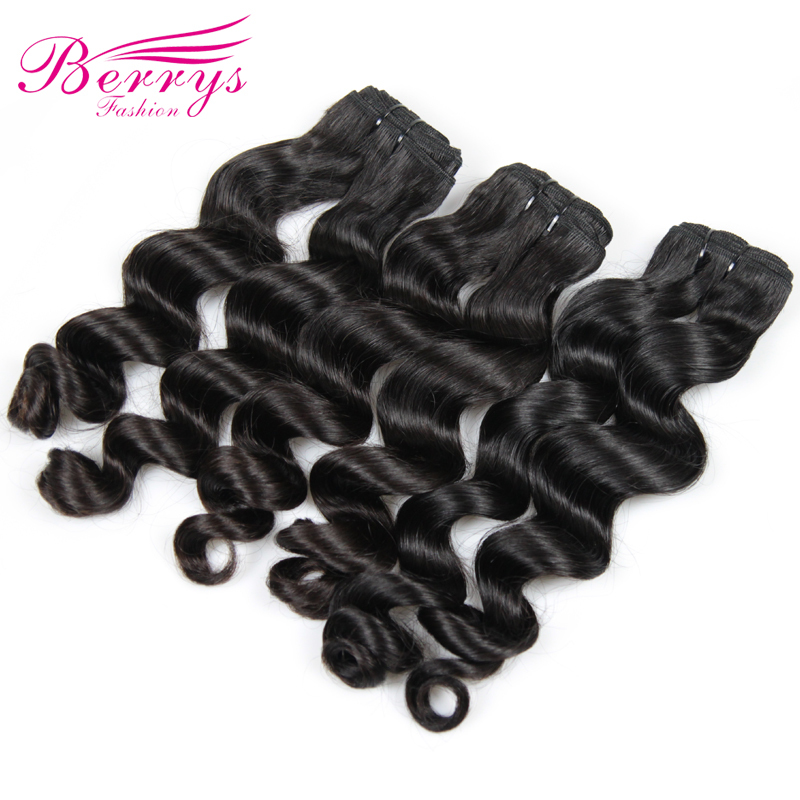 virgin hair could be dyed and iron-flat, iron flat plz don’t exceed 150ºC, or the hair will be destroyed. Also the hair will come back to its natural wavy after you wash it or iron-flat. For 100% human virgin hair, if you burn it, it will have ashed;for other material,such as chemical fiber staff, when you burn it, it leaves nothing. 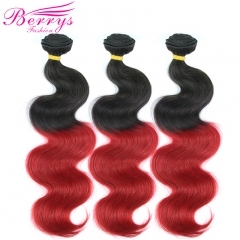 Berrys Fashion Hair Blonde Loose Curly Virgin..
New Arrival Berrys Fashion Hair Loose Body Wa..
Berrys Fashion Loose Wave Cheap Hair 3PCS/ Lo..
New Arrival 1b# Red Hair Body Wave 3pcs/lot B..
New Arrival 1b#4#27 Body Wave 3pcs/lot Bleach..
Berrys Fashion Body Wave Cheap Hair 3PCS/ Lot..
Berrys Fashion Deep Wave Cheap Hair 3PCS/ Lot..
Berrys Fashion Straight Cheap Hair 3PCS/ Lot ..
New Arrival 100% Remy Hair Brazilian Body Wav..